Garen will oversee all technology strategy, applications and services for the group of companies in 15 states plus the District of Columbia. 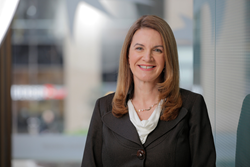 Delta Dental of California and its affiliates, who together form one of the largest dental benefits delivery systems in the nation, today announced the appointment of Kirsten Garen as chief information officer and senior vice president. Garen will be responsible for all technology strategy, applications and services for the group of companies that includes Delta Dental of California, Delta Dental Insurance Company, Delta Dental of New York, Inc., Delta Dental of Pennsylvania and their affiliates, which collectively operate in 15 states plus the District of Columbia. Among her accomplishments are being named Silicon Valley Business Journal’s and San Francisco Business Times’ Best Bay Area CIO in the innovation and transformation category in 2014 and one of the most influential women in Bay Area business by the San Francisco Business Times in 2015. Prior to joining Delta Dental, Garen was CIO for Bank of the West for more than five years and previously held senior leadership positions at VISA, Charles Schwab and Bankers Trust. She also is a board member of the Commonwealth Club of California, dedicated to impartial discussion of public issues facing the nation. Garen holds an MBA from the Wharton School of Business at the University of Pennsylvania and a Bachelor of Business Administration from the University of Michigan. Garen will be based in the company’s headquarters in San Francisco. Delta Dental of California, along with Delta Dental Insurance Company, Delta Dental of New York, Inc., Delta Dental of Pennsylvania, and their affiliated companies, together provide dental benefits to 36.5 million people in 15 states, the District of Columbia and Puerto Rico. All are part of the Delta Dental Plans Association, based in Oak Brook, Ill., the not-for-profit national association of the 39 independent Delta Dental member companies that collectively cover more than 75 million people nationwide.